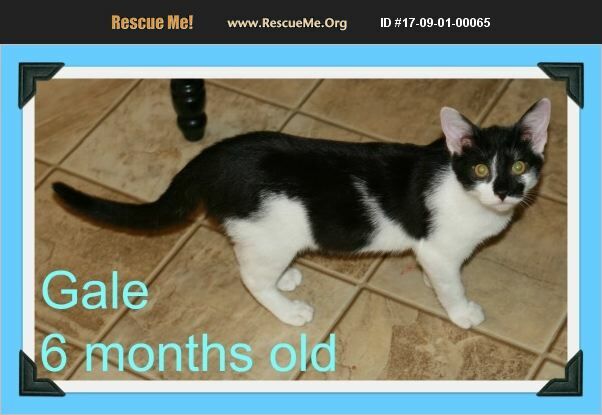 Alabama Domestic Cat Rescue View other Cats for adoption. Gale is a bouncy ball of fluff! He was saved from the pound when his time ran out and is now safe awaiting his forever home at the rescue. He has had a hard life so far and we have nearly lost him to sickness but he has fought through and now is doing great! He loves to play with the other cats and bounces when he runs! He is very entertaining and is extremely curious. On top of that he loves attention and his little motor runs very well when he is held! He is neutered, FIV/ Felueke Negative, vaccinated for his age, and dewormed! His adoption fee is $100.